In this article, I would like to introduce about difference between sound absorbing panel and articulatory panel. Sound absorbing panels and articulatory panels, there are similar images that look different, but what about actual performance? In fact there is no clear standard for these two. However, the name will change depending on the environment of the place to use. Even from the viewpoint of performance comparison, the articulation panel sometimes absorbs around 50% on average, or the sound absorbing panel can absorb a wide range of frequencies at 80% and adjust the reverberation sound in the room. If you can control the reverberation state of the place to use, it can be said that there is no big difference in performance between the sound absorbing panel and the articulatory panel, just by name. 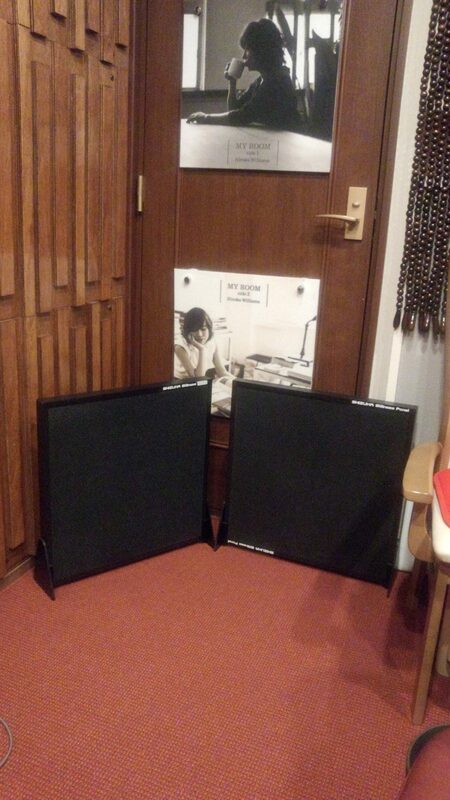 Our acoustic panel “SHIZUKA Stillness Panel“, absorbs the frequency band of 500 to 4000 Hz, 90% on average. This is a product that makes room adjustment easier. In the past, there are also examples of installations in places such as the door of the audio room where the sound is likely to accumulate and it is difficult to absorb sound. Those who have problems concerning indoor sound such as flutter echo and standing wave, please consider our panel by all means.